Martinique is a nation located in the Caribbean Sea. Yes, a nation. It is a nation because the island proudly enshrines an authentic culture and traditions that defines Martinicans and have lasted for hundreds of years. Independence is no requisite to define a nation. 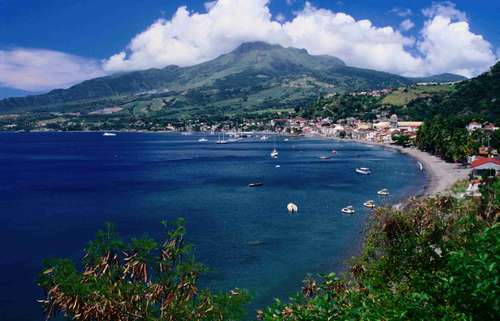 A perfect eclectic mix of Europe and Africa is what Martinique proudly offers. It is one of the most romantic places in the Caribbean with a well preserved environment, rugged mountains and pristine beaches. Martinique debuted in Miss World in 2005, they produced the first semifinalist last year with Ingrid Littre who also finished in the Top 3 of the Top Model competition. This year, the island will be represented by the exotic Tully Fremcourt who won the Martinique Queens pageant last spring. 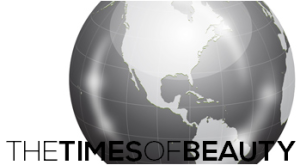 TimesOfBeauty.com proudly presents Miss Monde Martinique 2010 in an exclusive interview for our series Meet the Misses. My name is Tully Fremcourt. I’m 20 years old. I come from Martinique, an island between Saint Lucia and Dominica in the Caribbean Sea. I live in Trinite, a town in north of the island. I live with my father, my mother and my two older brothers. I’m the only daughter in the family. We are very close and we love sports. The men practice football and I practice gymnastics. It is my great passion. I’ve represented Martinique in competitions of gymnastics several times in different countries like France, Trinidad and Tobago with good results placing second or third. It was a very funny and rigorous experience. I would like to be a sports teacher and in the same time have my own gymnastic club in Martinique. Some time ago, I didn’t know what to do with my future so I tried different areas like law and speech therapist but, but I said to myself “Okay, I’m ready to roll, I have to believe in me and never give up” Now, I am a determined woman who overcome her shyness. With this determination, I’m going to represent my island Martinique at Miss World. I’m going to show everyone that Martinique is the biggest island because of its heart, its culture and its determination no matter our small territory. Martinique is an island located in the Caribbean Sea. It is 450 km of South America and 700 km southeast of Dominican Republic, between Saint Lucia and Dominica. Martinique measures 1080 square kilometers, 60 km of length and 27 km of width. My island was discovered in 1502 by Christopher Columbus. Martinique was originally called Janacaera Matinino, the first word means the island of iguanas and the second word means the island of women. Afterwards it became Martinique. Martinique was a point of conflict between the English and the French as far as 1635 when France won it and the island became a French colony. Slavery lasted until 1948 when the law of assimilation was approved which transformed Martinique into a French department. Today, Martinique is a modern country. We produce banana, agricultural rum and sugar cane. Martinicans are proud of their culture. We have, for example, Aimé Césaire and Euzane Palcy, the latter is a cineaste who did “La Rue Case Nègre” which tells us the life during the colonization. Moreover, in addition to our official language, we speak in our native language which is Creole. Creole was the means of speaking between the slaves in the past. Today, everybody speaks it. This language is in agreement with our life. In fact, in Martinique we live calmly, like if the different problems of the society were non-existent. The reality is that the big sun, the beaches, the delicious sorbets, the rivers and the beautiful and soothing vegetation forms this paradise which makes us forget our problems for a moment to react after with a big smile. We have a spicy life, like our meals. In fact, we like to eat spicy. We have a lot of specialties like migan, which is a preparation with breadfruit and pork, ti-nain lan mori, which is green bananas with cod, and the matoutou which is a special preparation of crabs and rice that we eat on Eastern. We also have the trempage which is a specialty of my hometown. It is wet bread crumbled on a banana leaf on a table with any accompaniments with a special sauce. We eat these standing up with the right hand around of the table. My hometown Trinite, organizes a big trempage for everybody in the vegetable market once a year. Trinite is a prefecture of Martinique, located in the North. There are at least 13,500 inhabitants. In addition to this culinary specialty, there are a lot of tourism sites like La Presqu’île de la Caravelle, Le Chateau Dubuc and Le Galion which is the last sugar factory of Martinique and, of course, a lot of beaches to swim and tan. Yes, my island is small in a map, but once here, Martinique is like a dream without end, a beautiful dream. Martinique is a small country. By representing it at Miss World where big nations participate, I can speak of its existence, its culture and its beauty. It is a priceless privilege. Miss World is an important and difficult competition where you have to do perfect physically and intellectually. Because of this, I have strengthened my courses of gymnastics to shape my body more than before and to be graceful in my movements and my attitude. In addition to that, I have improved my English and I have thoroughly studied the culture of my country and the world. Describing yourself is not easy. However, I choose the word humble. Humility is the acceptance of the existence and the values of others and in the same time being conscious and sure about your own values. I choose this description because in this world we are always in competition, for example in our workplaces. So, I think you have to behave well, analyze your qualities and your faults to bring forward “the zen attitude” and win your objective. In ten years, I will be a sport teacher in Martinique to teach the younger or the physically handicapped people. I will have my own Gymnastics Club in Martinique. Beauty is a relative adjective whose meaning can change with different cultures, tastes and colors. The money is a mean to reach objectives. However thanks to the intelligence, we can understand a situation and act and maybe pull through poverty which is not fatal but a momentary state. Moreover, the intelligence can take somebody to be beautiful because beauty is not only physical. In conclusion, I would like to be poor and smart. Aimé Cesaire is the well known person from Martinique that I admire the most because he was a man of thinking and of action (un homme de pensée en même temps qu’un homme d’action). He said “Ma voix sera la voix de ceux qui n’ont pas de voix”, which means “my voice will be the voice of people who have not got voice”. He worked for the recognition of the black people, the abolition of slavery and contributed in the entering Martinique into modernity. I have never thought to live in another country besides Martinique. If it was required, because of a job, it would be a country without social classism and race, a free country… Does it exist? In my opinion, the most important problem in the society is the lack of truthfulness. That’s to say the weak connections between the different states, between the states and the citizens. The interests and the money control the world and the information given by the media is not reliable. A beauty queen has to consider the general interest more than her own interest. She has to give a message of peace, and avoid telling if she agrees or not. A beauty queen, once elected, becomes a public figure; she has to behave like that. At first I was focused on winning the Martinique national pageant because I like to be in fashion shows. When I am competing, it is like in gymnastics, it is magic. Secondly when I won, I realized that I am the ambassador of my country. In conclusion, thanks to Miss World, I look forward to represent Martinique with dignity and persuade people to come to visit the island. I want to live an exceptional experience with sightseeing, meeting the fellow representatives and share our own cultures. It will be fantastic! I love that, I’m so excited! A Miss World is an elegant woman who turns every head when she walks in front of people. A Miss World has to have intellect. She has to follow an objective: try and become the perfect woman. The Miss World I admire the most is Priyanka Chopra, Miss World 2000 from India. She has left her mark in this world. She worked in several social and charity programs thanks to her success at Miss World and her passions. In addition to these, she is the star of Bollywood. She has won several awards like Best Actress. I love her movies; the different dances are so magic like my gymnastics choreographies. We have some common points, for example, we work more when we have some stress. A lot of people think that a beautiful lady, in particularly a miss, is only beautiful and elegant without intelligence, like we say in Martinique “Sois belle et tais toi” which means “To be beautiful and say nothing”. But, in reality, a miss has to have an intellectual knowledge to realize her objectives. At the Miss World pageant, each contestant has to have a humanitarian project. In conclusion, the Miss World’s motto explains that a miss is a beautiful and complete woman. Thank you for your support to help me to win the Martinique Queens pageant. Even though the Miss World pageant is more difficult, my determination is higher. So trust me, Tully is always present and I’m preparing myself with heart. Moana Sarann Luu, national director of Miss World in Martinique.